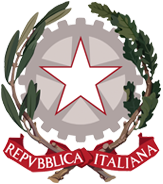 The data published on this site are collected by the Ministry of Foreign Affairs and International Cooperation among more than 130 Italian central and local administrations (Ministries, Universities, Regions and Municipalities etc.) and annually transmitted to the OECD – DAC (Organization for Economic Cooperation and Development – Development Assistance Committee) which is entitled to validate them. The variation of resources committed and paid for development aid. These funds are classified as multilateral ODA (all other categories fall under bilateral ODA). The recipient multilateral institution pools contributions so that they lose their identity and become an integral part of its financial assets. Official Development Assistance (ODA) is defined as those flows to developing countries and multilateral institutions provided by official agencies, including state and local governments, or by their executive agencies, each transaction of which meets the following tests: i) it is administered with the promotion of the economic development and welfare of developing countries as its main objective; and ii) it is concessional in character and conveys a grant element of at least 25 per cent.